Our Sound, Our Salmon stands in solidarity with our neighbors to the north. 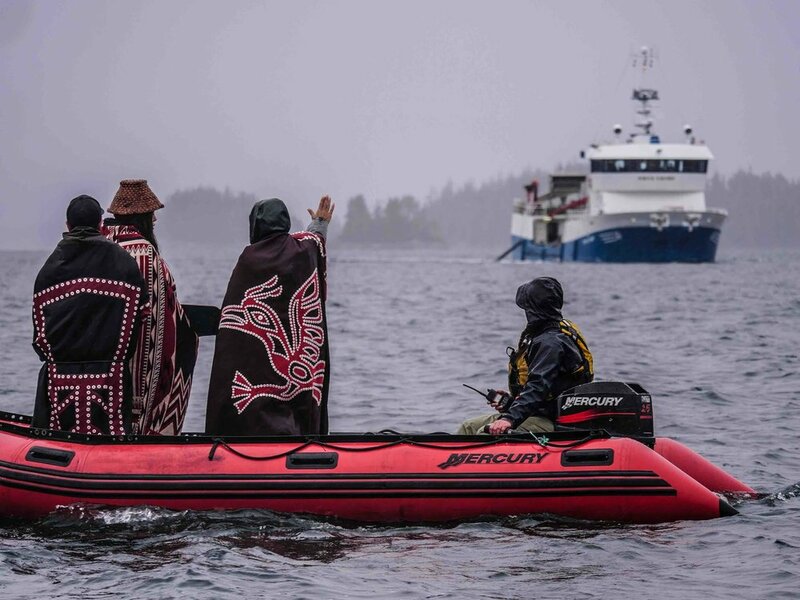 In the photo above, members of the 'Namgis First Nation stand in protest of a ship transferring one million Atlantic salmon smolts to Marine Harvest's Swanson Island Farm. Days before this photo was taken, the Canadian Federal Court dismissed the First Nation's court bid to block the restocking of the open-net salmon farm in its traditional territories off northern Vancouver Island, claiming that the 'Namgis had filed their application 'too late', but admitting that there was a 'real and non-speculative likelihood of harm' from the net pen operation. Read more details about the 'Namgis First Nation's bid here. The recent First Nation court challenge is only the latest development in a decades-long struggle to rid Pacific Canadian waters of harmful open-water Atlantic salmon aquaculture. For years, independent BC researchers have led the world in identifying the harms posed by Atlantic salmon net pens, and BC First Nations have vocally opposed the industry operating without consent in their territorial waters, culminating in a recent months-long occupation of a fish farm at Swanson Island in the Broughton Archipelago. Now, in the aftermath of a historic decision by the Washington State legislature to phase out Atlantic salmon aquaculture, thousands of British Columbia citizens are hopeful that the net pen industry's days in the province are numbered. 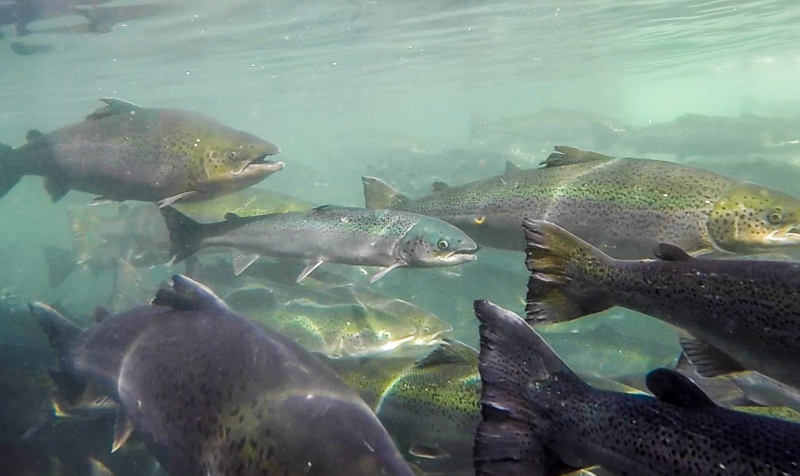 In the final stronghold for salmon farms on the west coast of North America, a movement is growing larger and larger that says wild salmon are sacred and must be protected at all costs. Learn more about the major recent developments surroundingf Atlantic salmon farms in BC by flipping through the photos below. Since August 2017, Ernest Alfred and other First Nation fish-farm opponents have occupied a fish farm at Swanson Island in the Broughton Archipelago to show their opposition to Atlantic salmon net-pen fish farming. The first scientific evidence that large numbers of wild salmon are becoming infected with piscine reovirus (PRV) in British Columbia through exposure to salmon farms was published in 2017 in the scientific journal Public Library of Science One. The paper was the first of its kind, showing that the percentage of wild salmon infected with piscine reovirus was much higher in wild salmon exposed to salmon farms than in wild salmon not exposed to salmon farms. In November of 2017, BC photographer Tavish Campbell released a video of a disturbing torrent of bloody wastewater issuing from a fish farm processing plants . The bloodwater, which was pumping directly into the ocean in critical wild fish migratory routes, later tested positive for Piscine Reovirus and intestinal worms.